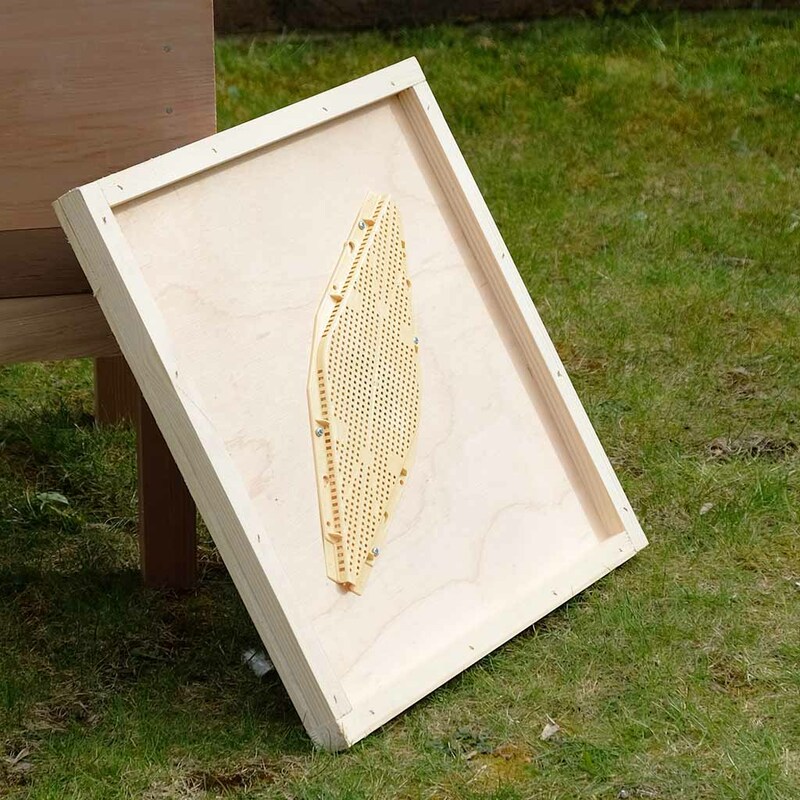 The Rhombus clearer board is a popular method used to clear the bees from your honey supers. This clearer board is simply a crown board but with a single hole in the center over which a Rhombus bee escape is attached. Place underneath the super you wish to clear and as the bees move down they will not be able to move back up into the super. This board provides a relatively quick method to clear the bees from your supers, most of the bees should move down within 1 to 2 hours.